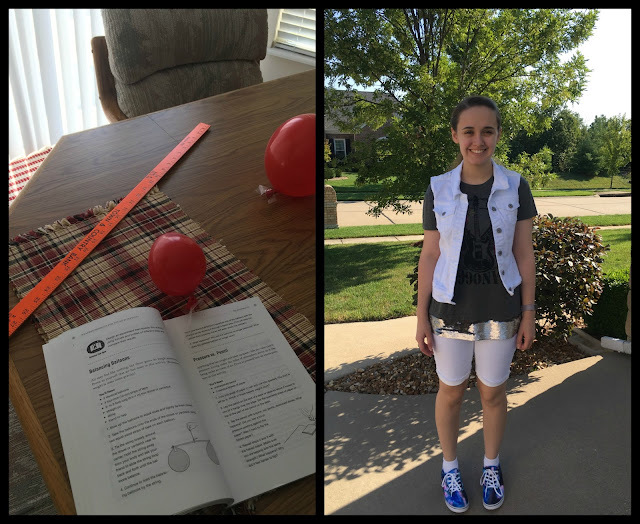 This week has been full of exciting events, milestones, and school changes... and for once I took some pictures! I had hopes we would get a lot of book work completed this week, because we didn't have any appointments. However, we focused on other types of learning with a little bit of book work to go with it, only for a week. Of course Monday was the eclipse, which was terribly exciting and fun since our house was in the path of the total eclipse! We did not have to go farther than out the door to see everything perfectly. No clouds to obscure our view and it was quite hot enough for us to feel the temperature drop too, although we did use a thermometer to verify the temperature change. Amber's friend and the friend's mom came over to join us for the eclipse, since they would not see the total eclipse from their house. 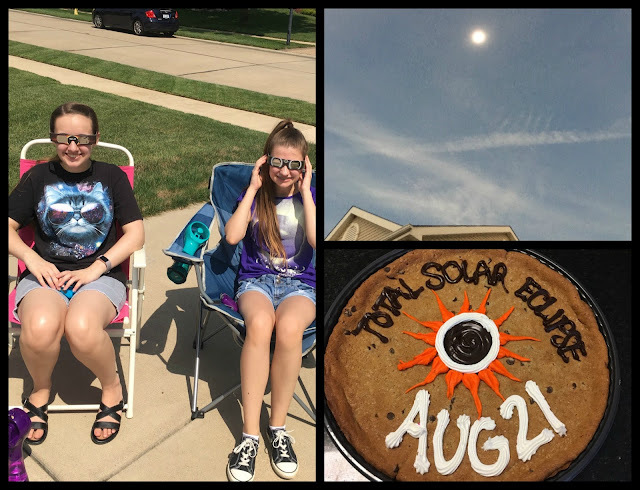 We had a fun time out on our driveway watching through our glasses, then running back and forth between the house where it was cool and outside to see how much of the sun was covered. Since it the whole thing took place over lunch time here, we all took a few minutes to eat inside, and had a special eclipse cookie cake too. All in all, it was a great day. iPhones do not take good pics of an eclipse - this was the total eclipse. Our weather much of Tuesday was a polar opposite from Monday with overcast skies, constant drizzle when it wasn't outright raining, and drastically cooler temperatures. 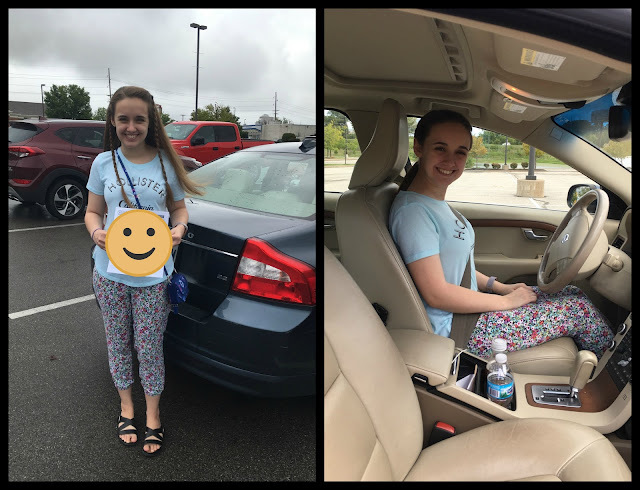 But it was the day I had planned to take Amber to the state patrol station for her driving permit test, so we did it anyway. She passed! Now we have a permit driver in our house. Since the weather on Tuesday calmed by the mid-afternoon, I took Amber for her first parking lot driving lesson and it wasn't even scary. She's driven a little bit each day since; sometimes just finishing the drive home once we get into our subdivision and other times more parking lot practice. Today we did another parking lot practice, but I stopped halfway home from the parking lot to let Amber drive on real roads the rest of the way home. She was giddy with excitement, but very serious about her driving. She managed a cool 25 mph in the 35 mph zone. Still, she had good control of the car at that speed and we were the only car on the road. Maybe she can get to 30 mph next time. Amber finally managed some book work on Wednesday, but only history. We had errands to run, flute lesson, driving lesson, dinner to make, and preparations for our first day of co-op. It was a hectic day and I'm counting us lucky that she managed to get in any book work at all! She did it, first try for the permit. Now I actually have to teach her to drive my car. 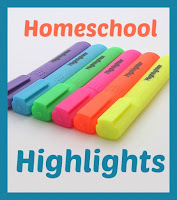 Our first day of homeschool co-op for the school year was this week too! Amber absolutely loved it and the new location. It's going to take a few weeks for everyone to figure out their groove and where they want to have lunch since our lunch space is actually smaller and we can't eat in the classrooms for fear of messes on the carpeted floors (it's a very logical rule). Still, the first few weeks of co-op are usually crazy and confused anyway. Amber could not praise her new art class enough! This is the type of teacher she has been waiting for her whole life. Amber loves to sketch and draw, but is mostly self taught with hints from Fred. None of the formal instruction she has had up to this point has actually been instruction. If you were not a natural at drawing, you pretty much didn't get much from the teacher. This Classical Art class has a teacher who wants everyone to be able to draw and she is fantastic at explaining the process. I've honestly never seen Amber so happy after an art class; they usually end in disappointment. Prepping the first meteorology demonstration and Amber on the first day of class. Her other classes were fun too and there are many new kids in drama this year, according to Amber. That will definitely give them a change and make for new dynamics in that class. Amber enjoyed socializing with her friends and seeing some of her friendly aquaintances, but isn't into the drama with some of the teens. The classes I'm teaching at co-op went well with only a few foibles here and there. Two of the three classes are at maximum capacity, which is a bit overwhelming and nerve-wracking. Hopefully the kids all enjoy themselves this year while learning too. Today, we were not going to leave the house. Nope. Not doing it. I was so tired. Amber was so tired. Except, Rose (the small cat with arthritis) was limping when we got home yesterday afternoon. I realized it was time for her regular shot of adaquin and she needs another cold laser therapy treatment. So, that was quickly scheduled for this afternoon. Of course when Amber woke up this morning, she decided she felt much better and could go driving. We ended up doing that before starting any school lessons. Still, she managed four different subjects this afternoon, one being math!!! Yes, you read right. She actually did 2 math lessons. Literature at the vet and math at home! If you read my post last week, you know we had been struggling even getting started in math. By last weekend Fred and I decided to make a change, because Amber's anxiety was creating an almost impossible situation for geometry. I posted about our change in math plans on Monday of this week, but the general gist is that we dropped geometry for this school year in favor of Consumer Math from BJU. Amber was greatly relieved and very willing to try almost anything else. The new books arrived Wednesday and we managed to start today. The first few lessons are just a review of some very basic algebra concepts, but she still had to put aside some anxiety to get going. Amber did it though, and powered through the first two math lessons. She's looking forward to some of the topics in Consumer Math and we know this will be of more practical use to her in the future than geometry. We're still hoping she can manage some type of geometry next year. A friend gave me a different geometry text to look over as an option for next school year. Amber really isn't sure about any geometry and is thinking she'd rather take statistics to finish out her high school math. We'll see when the time comes. For now, we appear to have a solution for her math this year. 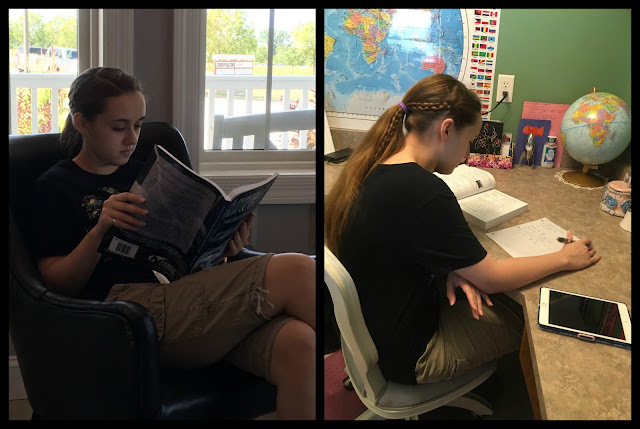 The math change means Amber has started all of her subjects for this year, including the co-op classes. She has a full year planned with quite a bit going on. It even looks like she will be back on the homeschool group yearbook committee for her third year. 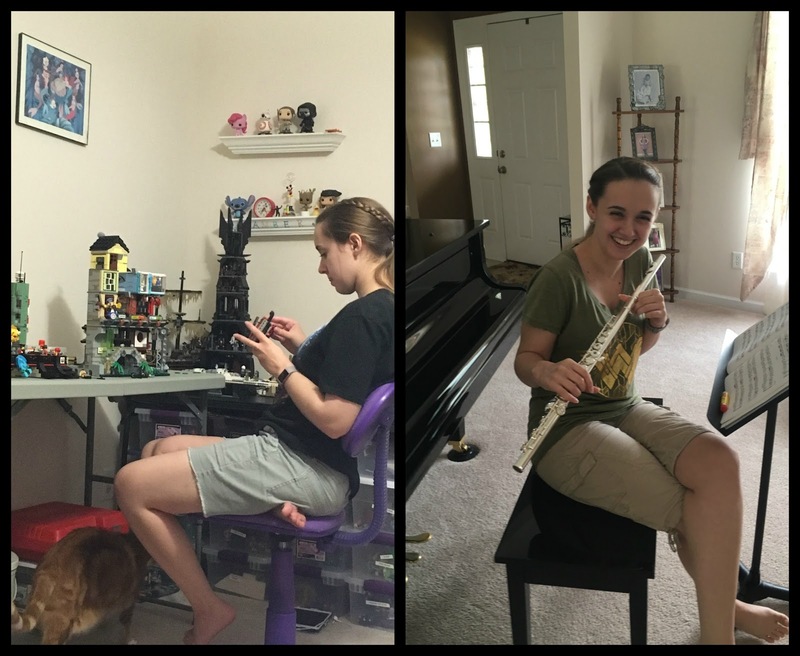 Finishing her Lego Ninjago City build, and being silly during flute practice. Next week should be a little calmer. I'm supposed to have a GI medical test done on Tuesday, but I'm feeling pretty puny and I'm not sure I can physically handle the test right now. I might have to call on Monday to have it postponed a couple of weeks. What a great week. I am so glad you found an alternative in the math department. Our son struggles with so much anxiety around math too. He is liking Life of Fred right now. We will see how it goes over the next few weeks. It's been so long! I am going to try to post more since this is Keilee's last year. I don't even know how that's possible. I can't believe Amber is driving. Keilee hasn't gotten her license and seems content with her permit. And rarely driving. I hope you all have a great year! I have to remind myself to take pictures most of the time too, and I don't take nearly as many as I ought. Anyway. Huge congrats to Amber on her permit and so glad that she is loving her art class! I'm hoping to take my daughter to get her permit this week so she can actually start driving - she's already done the Drivers Ed class.